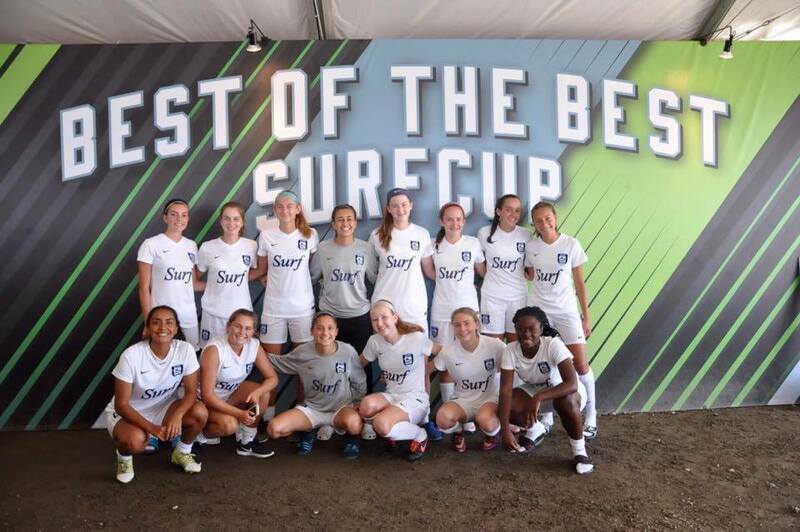 New York Surf competed in their first Surf Cup and finished in third place in their bracket going 0-1-2 with 7 points. They competed against some strong teams and drew their opening two games 0-0 against San Diego Surf and West Coast FC and dropped their final game 2-1 against NorCal NPL champion Blues FC who went onto the Finals. An amazing time was had by the GU17 team and they got some amazing college exposure with over 100+ coaches who checked in to watch our games. We look forward to attending annually!